Study a Bachelor of Communication degree to develop cutting-edge skills to produce ground-breaking, thought-provoking and engaging work in diverse media industries. With a range of course options in communications you will learn to push your individual creative boundaries, as well as embrace the fluid transformations across today’s complex communication landscape. Choose your major area/s of study and develop strong work-ready skills – writing, creating and producing creative content for television, film, print, radio and digital media. 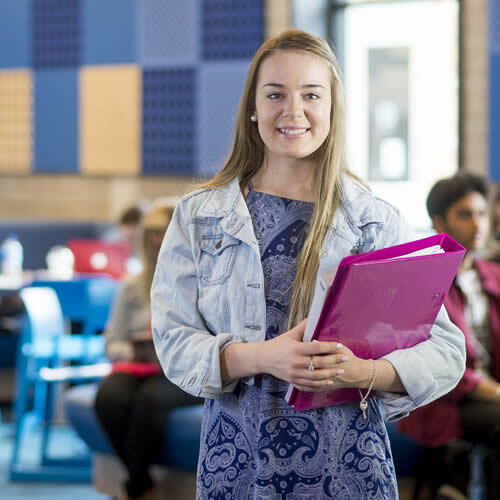 Communication studies at UON integrate intensive practical experience and industry opportunities, preparing you for a range careers that contribute to cultural enrichment and commercial success. Become in-demand: 89% of UON Communication graduates secure jobs soon after finishing university, gaining work-ready reputations due to hands-on study and professional industry placements. Strong job growth: According to Job Outlook Australia job growth is expected to continue across the range of communication careers: journalism, media, public relations, advertising and marketing. Access strong industry ties with campus access to 2NURFM radio studios and business partnership networks with NBN Television, Newcastle Herald and ABC 1233. Learn in cutting-edge communication and media facilities as well as dedicated creative spaces to develop well-honed practical skills and industry-level professional practices. 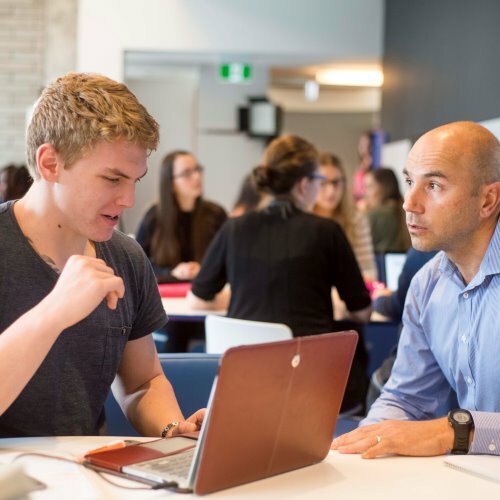 Work Integrated Learning – opportunity to gain real-world experience through industry placement opportunities and embedded authentic experiences throughout the program. Your studies and training in your communication degree will enable you to successfully navigate and leverage the changing information landscape. Develop critical and analytical awareness of the cultural, economic and social significance of communication in a complex and rapidly changing global media environment. Th is Bachelor of Communication degree provides a solid foundation and in-depth understanding of both communication theory and practice and allows you to specialise in one or two of four majors. You can also take elective courses from a range of disciplines including history, English, religion or sociology. For details, please refer to the Bachelor of Communication program handbook. With increasing competition in all sectors of employment, students who graduate with an Honours degree in communication have a distinct advantage. It is often considered by employers as an added skill and has been used by previous graduates to pursue higher positions and salaries. As a graduate of the Bachelor of Communication you may undertake an additional year of full-time (or equivalent part-time) to complete an Honours degree. The Honours program is designed to further develop and encourage you in your area of specialisation and prepares you for a successful career in the communication industry. It also provides a pathway into research degree study. Offered by the School of Creative Industries through the Faculty of Education and Arts, the Honours degree in communication aims to produce graduates who will have a well-developed capacity to think critically and creatively about society and culture and their relationship with research into professional communication practice. When you study communication at the University of Newcastle, you will have the opportunity to learn in our purpose-built facilities including sound and recording studios of industry standard. If you are interested in studying a combined Bachelor of Communication / Bachelor of Laws degree you can graduate with two degrees in just five years of full-time study. The Bachelor of Communication is designed to prepare you to work creatively and analytically across a wide range of sectors and industries. It also opens pathways for further study and research. Communication employment outcomes span exciting, dynamic and growing fields across various industries around the world, including media, journalism, public relations, advertising and marketing. There is also a good chance of you securing a job after graduating with strong industry growth projections and 89% of graduates from last year getting a job within four months. Graduates majoring in Public Relations can find employment in a variety of roles in many different types of organisations. The list below provides typical job titles for graduates from this major. Not everyone uses their degree in the same way and the transferable skills gained through university study may allow graduates to pursue a range of careers that might not be directly linked to their study. Below is a sample list of job titles that might be suitable for graduates with the skills gained majoring in Public Relations. Graduates majoring in Media Studies can find employment in a variety of roles in many different types of organisations. The list below provides typical job titles for graduates from this major. Not everyone uses their degree in the same way and the transferable skills gained through university study may allow graduates to pursue a range of careers that might not be directly linked to their study. Below is a sample list of job titles that might be suitable for graduates with the skills gained majoring in Media Studies. Graduates majoring in Media Production can find employment in a variety of roles in many different types of organisations. The list below provides typical job titles for graduates from this major. Not everyone uses their degree in the same way and the transferable skills gained through university study may allow graduates to pursue a range of careers that might not be directly linked to their study. Below is a sample list of job titles that might be suitable for graduates with the skills gained majoring in Media Production. The following list provides some example jobs available to graduates of a Bachelor of Communication graduate majoring in Journalism. Some of these jobs will depend on the amount and level of study undertaken, level of experience, the combination of other majors and electives studied, while some may require further study. Not everyone uses their degree in the same way and the transferable skills gained through university study may allow graduates to pursue a range of careers that might not be directly linked to their study. Below is a sample list of job titles that might be suitable for someone with the skills gained during the Bachelor of Commerce, majoring in Journalism. 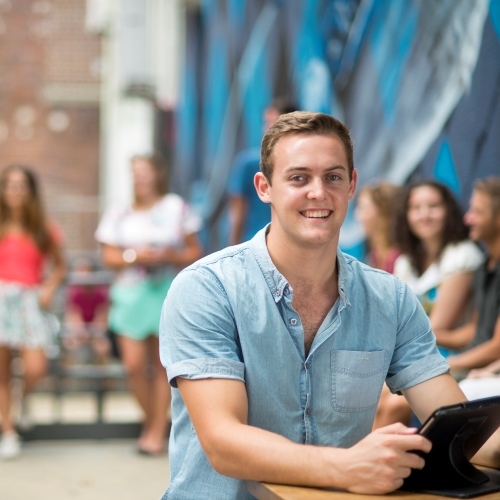 The Bachelor of Communication degree has been designed to incorporate work placement or projects within industry as a significant component of your specialist major. Gain a wide range of practical skills and the confidence to pursue lifelong careers discovering and growing your creative potential. 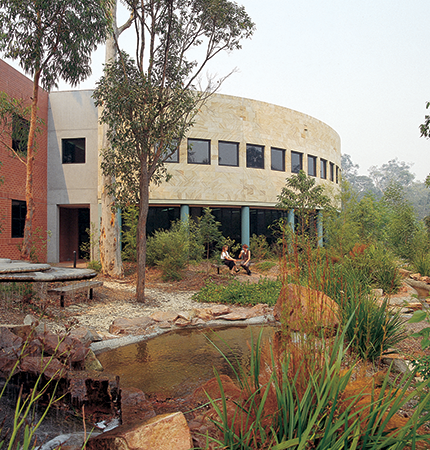 You will also learn through hands-on study, using a range of purpose-built creative spaces and cutting-edge facilities. Additionally, Bachelor of Communication students can enrol in international study which offers you the opportunity to undertake an international placement to expand the theoretical knowledge and skills developed in this program and apply knowledge and skills in an external and international context. Students who complete the Bachelor of Communication with the Public Relations major will graduate with a degree accredited by the Public Relations Institute of Australia (PRIA). Bachelor of Communication students talk about their work experience at the Coates Hire Newcastle 500 Supercars event. Emily discusses her experiences at the University of Newcastle, where she is completing a Bachelor of Communication. Communication student Matt Evans thought it’d be a laugh to deliver a few coffees and donuts to surfers on Crescent Heads. Admission to this program is available to Australian students, residents and international students. 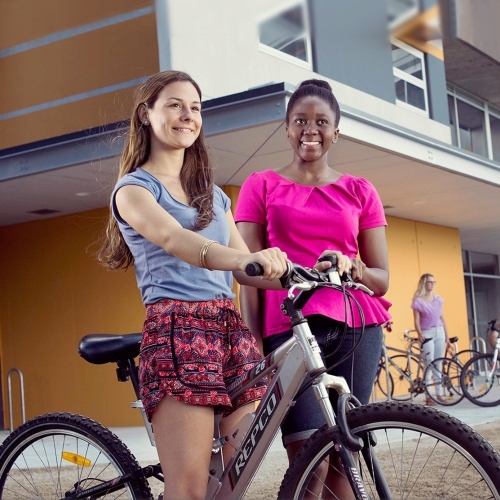 Admission information for Australian students and residents is available here. Admission information for international is available here. During the admission process adjustment factors may be applied to your Selection Rank. Please visit out website to see if you are eligible. 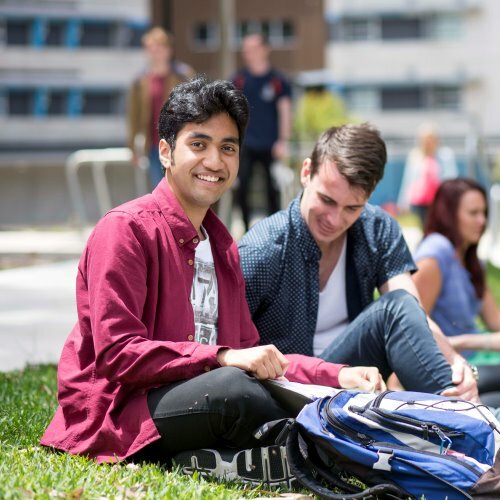 Entry to the University of Newcastle degree programs offered in Singapore are based on overseas qualifications considered equivalent to Australian qualifications, as well as satisfying English language requirement. More information regarding our partner PSB Academy can be found here. In some instances, mid-year admissions may extend the duration of the program due to the requirement to complete sequential courses. However, for many students, it will still be possible to complete within the 3 years minimum timeframe. The IELTS requirement for admission to this program is 6.5 with no sub-test less than 6.0. A command of written and spoken English equivalent to that found in students exiting the New South Wales High School Certificate (HSC) at a pass level is assumed knowledge.